Being the oldest continually inhabited city in India, Varanasi is a city full of history, religion, and culture. The city is also well-known for holding several fairs, feats, and festivals nearly all year round. It then comes as no surprise that visitors, not only from the country, but from all over the world, flock to Varanasi to take part in such celebrations. Getting to Varanasi then becomes a common question many hopeful travelers are anxious to know about. Traveling to Varanasi is quite convenient either by air, train, or even road. Getting to Varanasi by sea, however, is not quite advisable for tourists as of the moment, although small steamers and boats that pass along the Ganges River are available for travelers to get to the city. Any of the other modes of transport are well-connected to Varanasi City. Getting to Varanasi by air is possible with flights coming from New Delhi, Mumbai, Kolkata, Jaipur, Kathmandu, and other major cities in India. 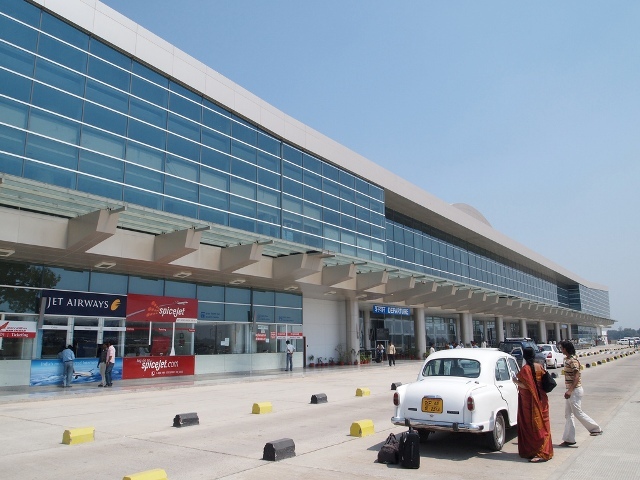 The nearest airport in Varanasi is located in Babatpur, just 22 kilometers away from the city. Make sure to take a look at Indian Airlines, Sahara Airlines, and Jet Airways for flights that connect Varanasi to other cities around the country. Being a major rail junction, getting to Varanasi by land using a train is also a convenient option. Similar to traveling to Varanasi by plane, the city is also well-connected to other major cities across the country such as Mumbai, Chennai, Jaipur, Allahabad, Kolkata, and Patna. The main station of Varanasi is called the Varanasi Junction, which is also known as the Varanasi Cantonment. However, the station is infamous for people losing their luggage so make sure to keep an eye on your belongings when taking the train. To avoid hassles like the one mentioned it may be best to leave this small and quite chaotic train station to the use of the locals instead. Varanasi is a city found on the northern state of Uttar Pradesh, making it extremely accessible to other major towns of the state. There are several bus services that leave multiple times a day that head to the different neighboring areas. The bus station is also conveniently located right beside the train station. However, bus services in Uttar Pradesh are rather second-rate compared to those in the capital of India. But if you take mingling with the locals a challenge to your Varanasi trip, by all means feel free to experience the adventure. Although all of these mentioned modes of transport are easily accessible, flying to Varanasi may be the quickest and the most comfortable way to get to the city. The Babatpur Airport is just half an hour ride away from the city of Varanasi, making it the best option when traveling to Varanasi. With the coordinates 25°16’55’N 82°57’23’E, getting to Varanasi is not difficult with the several modes of transport. Despite being quite an old city, it is this precise old world charm that attracts visitors to the cultural capital of India. Varanasi then continues to be one of the more popular tourist destinations in India that never ceases to amaze.